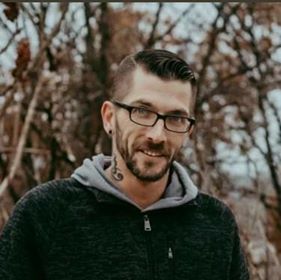 William S. Boris, 41 of Cherry Valley, Clinton Township, died Sunday March 24, 2019 upon arrival at Allegheny Valley Hospital of an apparent heart attack. He was born November 7, 1977 in New Kensington to Douglas J. and Lisa J. (Kern) Boris also of Cherry Valley. Bill worked for many years as an auto mechanic for Service King, Shaler and most recently for Direct Repair also of Shaler. He was a member of New Life Christian Ministries Church, Saxonburg. Bill loved anything music, playing the drums and guitar, he also loved working on cars. Besides his parents he is survivors include his wife Tiffany Unger, his son Brennan J. Boris, siblings Bobbie Jo Boris and her fiancé Justin Heinle of Clinton Township and James (Caitlin) Boris of Jefferson Township, his aunts Lori (Thomas) Smart and Janet Kern both of Springdale and his uncle Paul Kern of Verona, and many nieces, nephews and cousins.